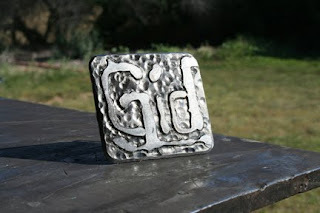 I have made many name buckles. Here are 3. This one was for my brother. Most of my immediate family can usually guess what they will get from me for their birthday. If not a buckle,something else metal!